I really needed a break from all the paperwork and website work that is covering my desk. 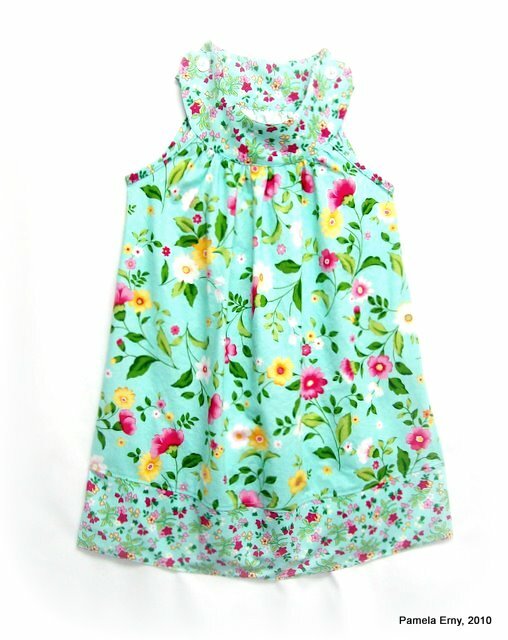 So I decided to make this sweet dress for my little friend Julianna, age 3. I saw a pattern for a top exactly like this at That*Darn*Kat on Etsy, and first thought "That's so simple, I can draft it myself!" Then I had second thoughts. I decided that it just isn't right for me to copy a designer's hard work, so I bought the pattern. The pattern is designed as a top, so I just lengthened it to make this dress. I plan to make many more. This pattern is very fast and easy to sew, with excellent step-by-step instructions and color photographs. Back to copying patterns. I have "borrowed" design details that I've seen on pattern photographs many times....never intending for my finished garment to look exactly like my inspiration. This time I bought the pattern because I wanted to make a garment as close as possible to the original. I also wanted to support an Etsy seller. And while I think it's OK to get inspiration from others' patterns, it is my opinion that it's not right to try to copy them exactly. So if you like this dress, the pattern is available as a top at That*Darn*Kat. super-popular Pro-Tricot Fusible Interfacing ! This is a Professional Grade Tricot knit interfacing used by designers and the finest ready-to-wear clothing manufacturers. PRO-TRICOT FUSIBLE INTERFACING gives soft, flexible support to all weights of knits. It can also be used on lightweight woven fabrics. Pro-Tricot Fusible Interfacing can also be fused to leather. The only pre-treatment ProTricot needs is to hold a steam iron Just Above the interfacing and steam it lightly just before fusing it to your cut-out fabric pieces. PRO-TRICOT IS WASHABLE IN COOL WATER/DELICATE DRYER SETTINGS AFTER FUSING TO FABRIC . Please visit ~Fashion Sewing Supply~ For Ordering Information. 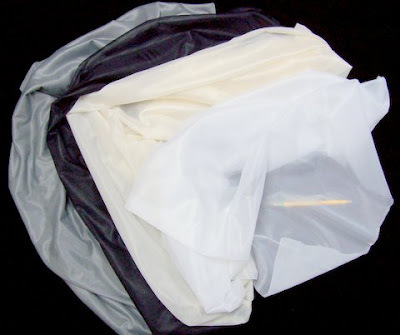 Our PROFESSIONAL QUALITY SILK ORGANZA is a crisp sheer 100% silk fabric with a flat even weave. It can be used as interfacing and underlining on any fabric when a sheer, almost transparent sew-in support layer is desired. It also is the preferred fabric for Press Cloths by Fashion Designers, and experienced sew-ers everywhere. 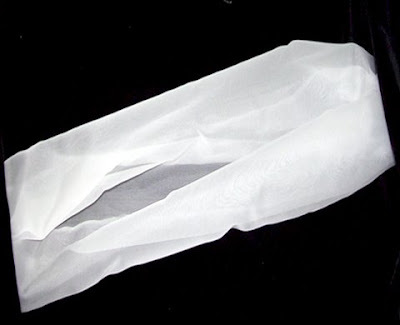 Our Silk Organza is of the highest quality, and 7mm in weight. with our PROFESSIONAL QUALITY 7mm SILK ORGANZA. COLORS- WHITE, IVORY, and BLACK. Please visit ~Fashion Sewing Supply~ for more information.